Perhaps you want to reference other nuggets of information in your PDF file, without building one large, multi-page file that could be confusing for the recipient to follow. This is easy enough to do by opening the Attachments navigation pane on the left-hand side (with an existing file open) and clicking on the Add paperclip icon in the panel. Be sure to add a description of the attachment especially if the filename is not intuitive. You can do this by right-clicking on the Description field and selecting Edit Description from the context-sensitive menu. Now, that you have a file attached, you need to draw attention to it from within the PDF document. To do this, you can use either the Add or Edit Link tool or the Add Button command. I’m going to use the Link tool because I have existing text in my document that references my attachment. 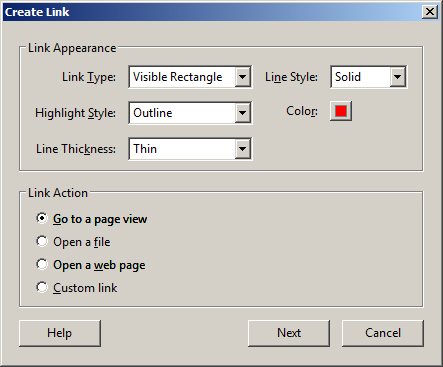 To start, I’ll select the Add or Edit Link tool from under the Content Editing panel and draw a rectangle around the text using the cross-hair cursor. 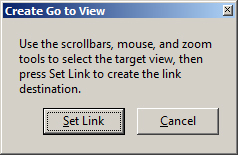 In the Create Link dialog, select the link appearance and choose Go to page view under Link Action. 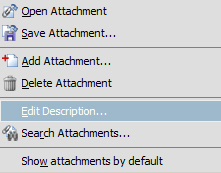 Click Next, and without touching the Create Go to View dialog, open the attachment from the Attachments panel. Set the exact magnification you would like the attachment to open at, then click Set Link. Test the link by clicking on the Hand tool in the toolbar and clicking on the link. I also cover this topic in detail during the Working with Links session that’s part of my Learn Acrobat XI course on Udemy. I have used the instructions above, and that was easy to understand and follow. 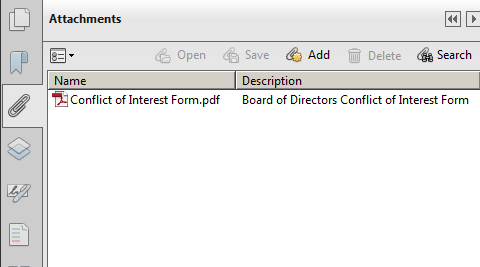 However, it opens the PDF file in the window used by the original document – and so closes it. Is there a way to make the link open the attachment page-view in a new window, and still keep the main document open? Good question. You can do this after you’ve added your link or button by going back to the button/link action and selecting Edit. In the dialog, select “New Window” in the “Open In” dropdown. You can edit any of the other options as well, such as setting the zoom to “Inherit Zoom”. Click OK and Close and test the button again. I am seeing this request all over the web and no one is giving a solution, some even say that you can’t do this. You should contact Adobe to have them add it to their help document on Links and attachments in PDFs. Is therer any way to define a link to open other file formats attached to the PDF document? Have been looking for this forever. It should be noted in the Adobe help. After much searching I have just found a much easier and less tortuous way to achieve what I wanted. – With your main PDF document open, click on “comment” to the upper right. – Select the “Annotations” section. – select the document and another box opens to allow you to select or modify the icon that will appear in your document. Once that is selected, your document will be embedded inside the main PDF document, and opened in its own window, by clicking on the icon. I have just found this function in a book on Acrobat X, after seeing that it exists on the main tool-bar in Nitro PDF (after a colleague told me that it was possible in Nitro, and I bought the software). I already spent 1.5 years trying to find how to do this by searching Adobe online help, and the internet generally – which led me to this webpage in 2014.